If you're sending a child off to college or moving them into a new apartment, help them get things started off right. These tech products add convenience, comfort and a little fun to any apartment. And they're priced for student-sized budgets. With the Cuisinart DTC-975BKN 12-cup Thermal Coffeemaker, you can program coffee to be made at any time and then keep it hot and fresh in its thermal carafe for up to 12 hours. 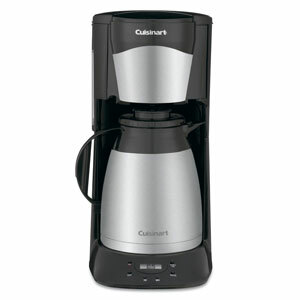 The coffee maker shuts off automatically once the coffee is brewed, saving energy. Chances are that there are a lot of microwave dinners and pizza in your child's culinary future. 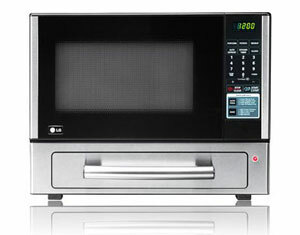 With LG's microwave with oven combo, you can cook in the appliance's 1.1 cubic foot microwave oven or bake in the 1400 watt oven drawer. The drawer can be set to bake at 350, 375, 400 or 425 degrees and has an Auto Pizza feature, which adjusts cooking times for fresh or frozen pizzas. 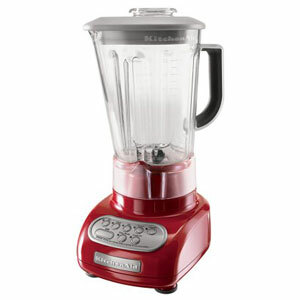 Certainly not a necessity, but a good blender does come in handy in a first kitchen. This KitchenAid KSB560 makes short work of smoothies, milk shakes and other frozen beverages, thanks to its "crush ice" mode. And with a one-piece polycarbonate pitcher, cleanup is easy. Yes, a smartphone can serve as an alarm clock, but there's something to be said for a device that doesn't need to be charged to work. 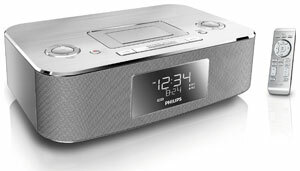 The Philips DC290/37 is a great clock radio. There's a digital FM tuner, aux input and for those who have an iOS device, there's a dock on top for playing or waking to music. 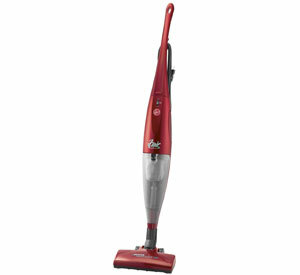 The Hoover Flair S220 Bagless Stick Vacuum makes short work of messes on bare floors and its powered nozzle makes it particularly effective on low-pile carpet. The vac's see-through dirt cup is washable and the 20-foot power cord wraps neatly around hooks on the back. This high-quality 1080p resolution LCD TV with 120Hz motion technology provides access to a wide variety of Internet apps, including streamed video from Netflix, ESPN and YouTube, health apps, music and gaming. 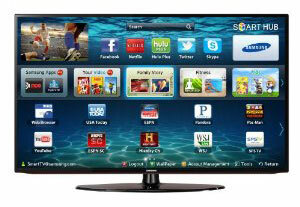 So, there may be no need to get cable or another pay-tv service. Built-in WiFi makes setup a snap. 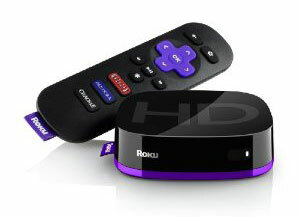 If your child's TV Doesn't have apps for streaming video from the Internet, it's easy to make any TV smart with a streaming media player like the Roku HD. Preloaded you'll find apps for Netflix, Hulu Plus, Amazon Instant Video, Crackle, YouTube, Vimeo, CNBC, Pandora, Facebook and many more. For me an electric frying pan os more important than a blender. They do double duty as an oven and slow cooker. Normally, less expensive versions of various tech items described on this site are presented, along with the more spendy ones. The items listed are pretty expensive for a new college student’s budget, or for a lot of people’s budgets. The blender, the coffee maker and, goodness, the TV are so expensive, and I know there are less expensive, but nice versions of those available. I was just surprised at the cost since this article was offering these items for tight budgets. I am right now in process of moving my on into his first apartment. The thing he was happiest seeing me come home with? A rice cooker! We have used one so often throughout his growing up, and it is like a comfort thing for him. Plus, brown rice is cheap, easy to schlep home from the market, and nutritious. It can be ued in any number of combos and will keep until the next day or two for making fried rice.